On Tuesday we woke up and and looked at the weather forecast, it was going to be 80 degrees in San Francisco! One of the warmest days that we’ve had all year. We were thinking how to make the most of it and apparently one of Laura’s friends was thinking the same thing, in a flash we had plans to hit the beach after work. There was a lot of discussion about how early we should get there to avoid all the crowds. I ducked out of work a little after 5, picked up Laura and we headed for Trader Joes (to pick up beach food of course). That’s when things started getting onminous. The parking lot was more like a wind tunnel, it was starting to get pretty chilly. 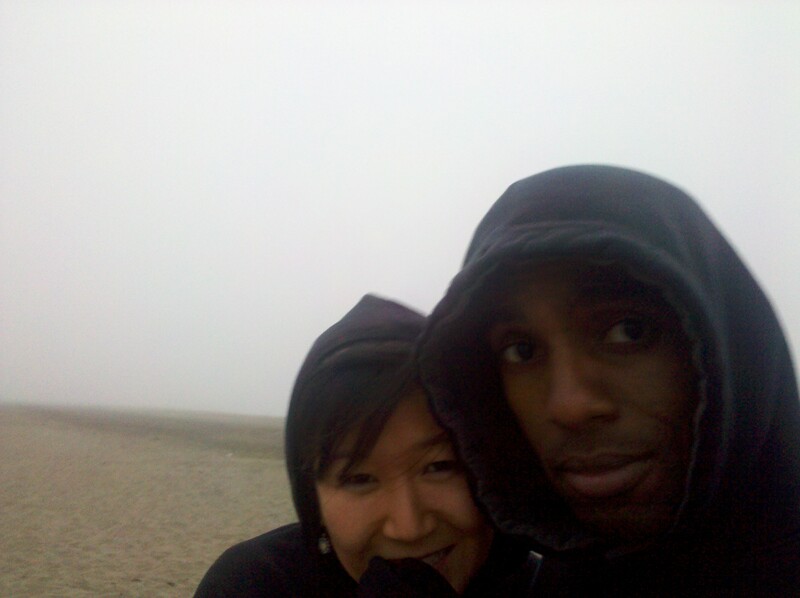 By the time we got to the beach that San Francisco weather had changed on us, the temparture had dropped into the 50s. On the plus side we did get the beach pretty much to ourselves, at least for as long as we could take the cold. 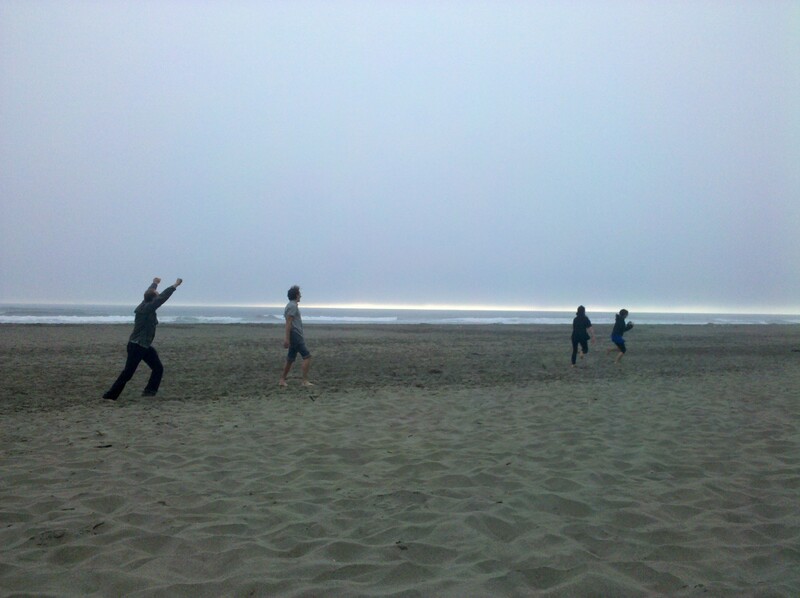 Also on the plus side, Laura managed to score a touchdown in beach football.